* Runco often packages their projectors with build-in or external line doublers/scalers. Different model numbers that all stem from the same related model usually indicates different packages. 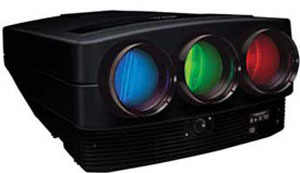 For example, the DTV-947 product includes the same Barco projector as DTV-940. The only difference is that an external Runco scaler is included in the DTV-947 product package, while the DTV-940 only includes the projector itself.